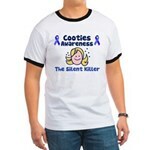 Do you know everything there is to know about cooties? 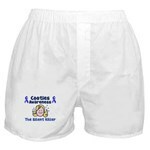 Little boys can get them simply by touching girls; girls can get them from touching boys. 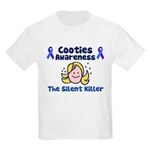 Boys are more susceptible to get cooties, but the reasons for this are currently unknown. 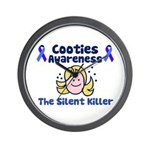 The only cure for cooties is maturity, which for some comes much too late. 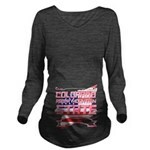 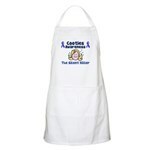 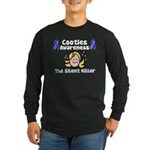 Show your support for cooties awareness with this ribbon design which shows a girl, surrounded by cooties, with an innocent-looking smile on her face. 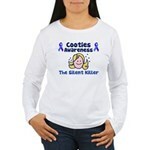 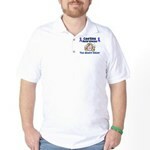 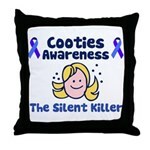 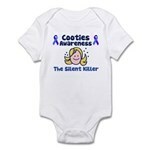 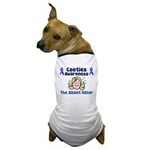 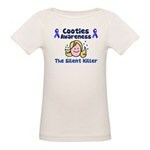 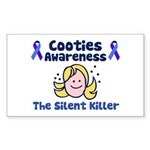 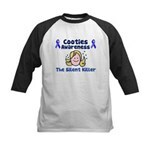 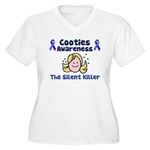 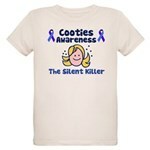 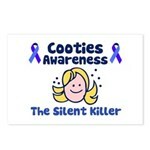 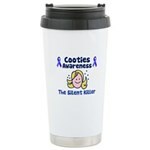 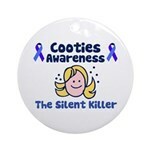 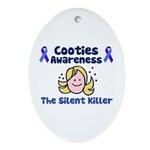 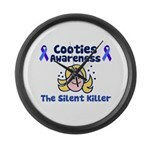 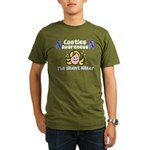 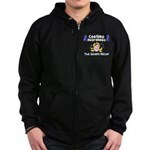 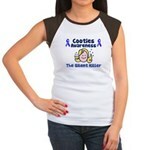 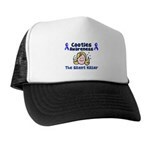 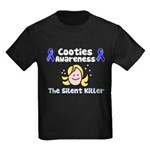 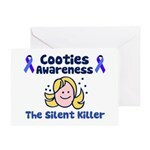 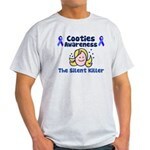 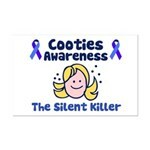 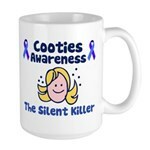 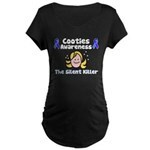 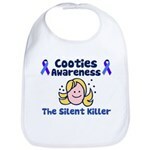 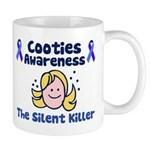 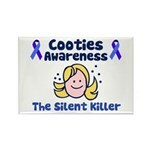 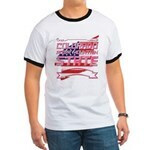 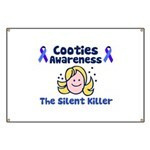 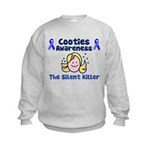 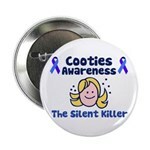 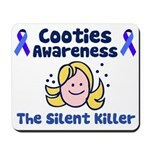 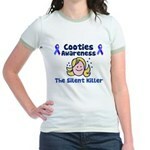 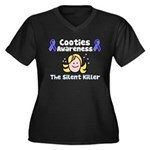 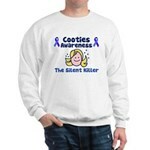 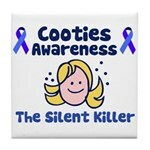 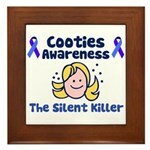 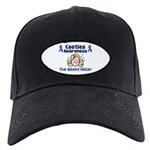 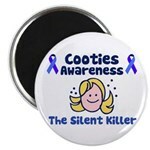 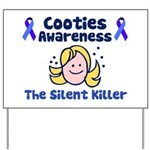 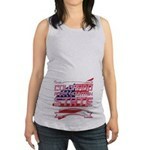 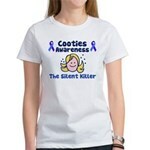 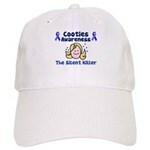 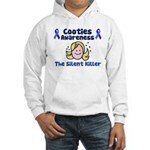 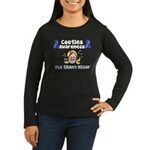 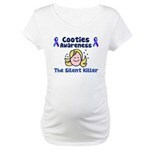 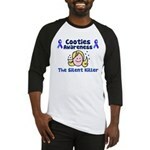 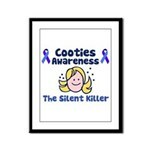 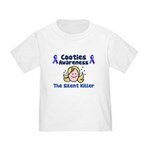 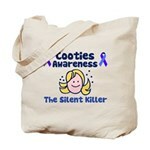 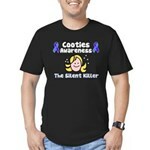 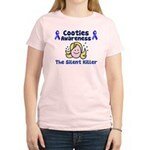 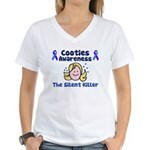 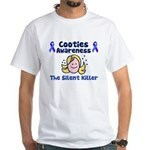 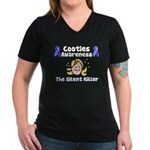 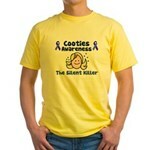 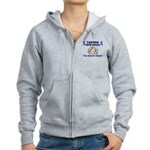 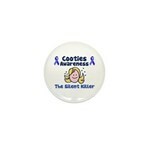 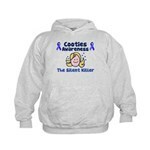 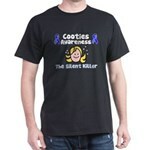 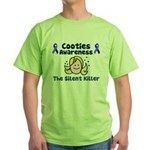 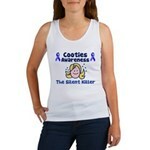 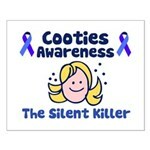 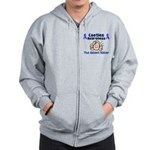 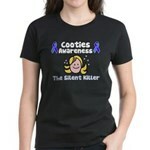 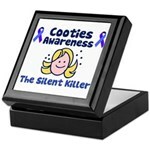 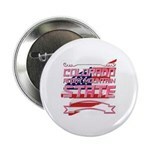 Don't ignore this silent killer and support cooties awareness with this unique and possibly hilarious swag.